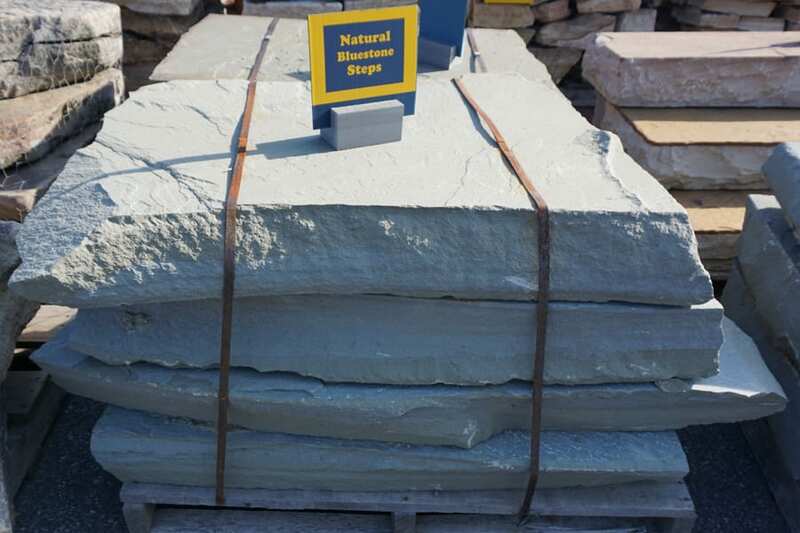 Bluestone Natural Stone Steps have completely natural edges and tops. The tops are slightly rough which gives them good traction when wet. The edges are completely irregular and natural. 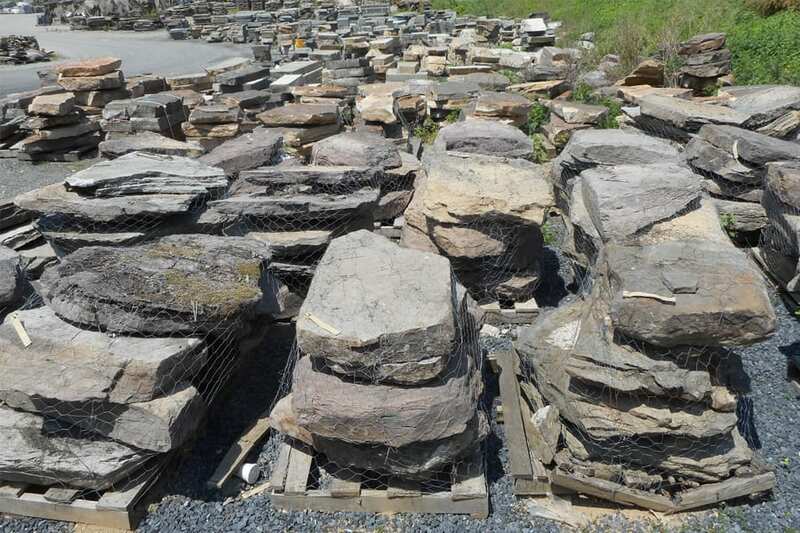 Sold in sets they go beautifully with our other Bluestone Landscape Stone. This includes walkway and patio stone, wall stone, treads, building stone, bench rocks and more. If you love the color and durability of Bluestone and want natural stone steps - our Bluestone Natural Stone Steps may be the answer. We have dozens of sets on site - please come visit us. 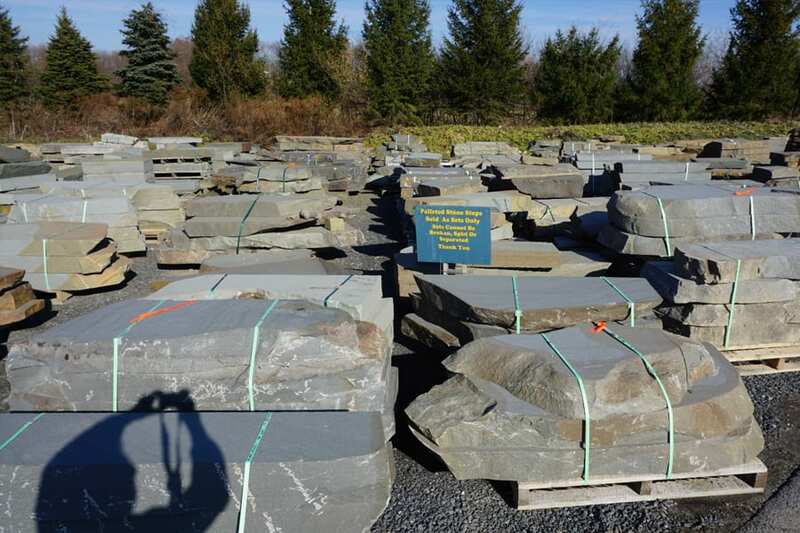 Unprocessed Bluestone steps - this is literally how they come out of the ground. Pieces are broken into reasonable sizes but this is raw stone at its most beautiful.